Experience the best salient features of Mtlexs.com with its efficient and resourceful Mobile Apps. 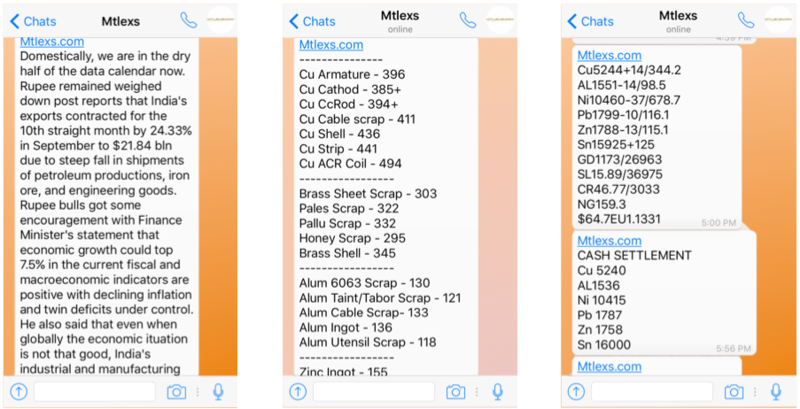 Mtlexs.com now brings its handy Technical Tools on the go. Now you can make use of the Universal Metals Weight Calculator for any type of Metal, Alloy or shape. Or make use of the Thickness Converter to convert units from Inch to mm and vice-versa. Besides this, the most important feature of Mtlexs.com, i.e. Live Metal Rates, is also just a click away. These are very basic and simple yet effective tools, which are for the first time being bundled into one marketplace and these are now available as Mobile Apps for its users.